FORZA10 Nutraceutic was developed through the intuition of Italian veterinarian and nutritionist Sergio Canello, DVM, expert in food-related pathologies. 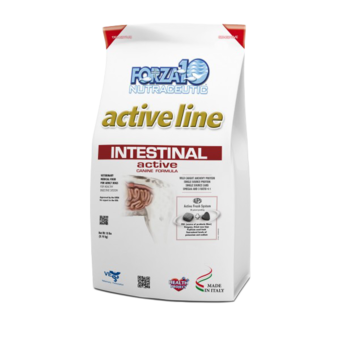 FORZA 10 is the culmination of years of clinical studies to create an optimum whole natural and functional pet food that effectively rids pets of the most common pathologies deriving from food intolerance. Since 1996 FORZA10 Nutraceutic has been making a radical improvement in the lives of dogs, cats and their owners in Italy and Europe. V' The FORZA 10 Health Project has now arrived in North America to help pet owners increasing awareness, changing their pet's lifestyles, and bringing back their health and natural beauty. All the selected ingredients are premium and high quality, including wild caught fish (anchovy) and Italian ground rice. The plant and fruit extracts and all the nutrients are efficiently delivered intact to a pet's digestive system through the patented Active Fresh System (AFS) technology. This makes FORZA10 dry diets the most advanced and natural pet nutrition.